﻿Are There Side Effects To Oxygen Therapy? Almost every medical treatment has risks and side effects to it, which vary in degree from person to person. The benefit of oxygen therapy is that it is not a foreign drug, we naturally use it everyday and therefore the only side effects will be due to the administration of it or because of the volume of oxygen being inhaled, which as a result dramatically reduces side effects when compared to other medical treatments. There is also the safety aspect of storing and using oxygen as it is highly combustable but as long as you follow the simple common sense safety advice from your provider you will be very safe. The side effects may include a dry or bloody nose, skin irritation from the nasal cannula or face mask, fatigue, tiredness and morning headaches. Some people only suffer side effects initially upon first use and then they disappear however if these problems persist then all you need to do is to inform your doctor and provider. Depending upon the problems all your doctor may need to do is to alter the oxygen flow rate or length of time you’re using the equipment. If nose dryness is a problem then you may just require an additional nasal spray or to have a humidifier attached to your equipment to reduce the dryness effect of the oxygen. If you experience irritation from the mask or cannula then your provider can try other devices that may fit you better and can recommend over-the-counter gels and devices designed to help lessen skin irritation. If you use transtracheal oxygen therapy then complications can potentially be a bit more serious due to the more invasive way that the oxygen is delivered via a tube inserted into your windpipe a the front of your neck. You may develop mucus balls which can cause coughing and clog the windpipe, infection and injury to the windpipe. However as long as you follow the advice in the proper medical care and correct handling of the tube then this greatly reduces the risk of complications. Such as keeping it clean and to use suction to remove any build-up. The majority of users find that they experience a little irritation and dryness which can be easily resolved. Their testimonials are clear in saying that the benefits of oxygen therapy such as improved quality of life, improved mobility and social interaction and longevity of life far outweigh the inconvenience of a few side effects. How Does My Oxygen Concentrator Work? Oxygen concentrators work on the principle of ‘rapid pressure swing adsorption’ which is where the Nitrogen is removed from the air using zeolite minerals which adsorb the Nitrogen, leaving the other gases to pass through and leaving oxygen as the primary gas. Once the oxygen is collected the pressure then drops which allows Nitrogen to desorb and be expelled back into the air. An oxygen concentrator has an air compressor, two cylinders filled with zeolite pellets, a pressure equalizing reservoir and valves and tubes. During the first half-cycle the first cylinder receives air from the compressor, which lasts about 3 seconds. During that time the pressure in the first cylinder rises from atmospheric to a few times normal atmospheric pressure (about 20 psi) and the zeolite becomes saturated with nitrogen. As the first cylinder reaches near pure oxygen (there are small amounts of argon, CO2, water vapour, radon and other minor atmospheric components) a valve opens and the oxygen enriched gas flows to the pressure equalizing reservoir, which connects to the patient’s oxygen hose. At the end of the first half of the cycle, the air from the compressor is directed to the 2nd cylinder. Pressure in the first cylinder drops as the enriched oxygen moves into the reservoir, allowing the nitrogen to be desorbed back into gas. Part way through the second half of the cycle there is another valve position change to vent the gas in the first cylinder back into the ambient atmosphere, keeping the concentration of oxygen in the pressure equalizing reservoir from falling below about 90%. The pressure in the hose delivering oxygen from the equalizing reservoir is kept steady by a pressure reducing valve. These have been around for decades, but older models were bulky, unreliable, and were not allowed on airplanes. Since 2000, manufacturers have improved their reliability and size and they now produce 1-6 lpm of oxygen. The portable concentrators plug directly into a regular house outlet for charging at home or hotel, but they came with a power adapter that can usually be plugged into a vehicle DC adapter. They are able to operate from the battery power as well for either ambulatory use, or away from a power source, or on an airplane. Portable oxygen concentrators operate on the same principle as a home domestic concentrator, operating through a series of cycles. Air passes from the miniaturised air compressor and through the molecular sieve of zeolite granules, which adsorb the nitrogen. Some of the oxygen produced is delivered to the patient and some is fed back into the sieves to clear them of the accumulated nitrogen, preparing them for the next cycle. Through this process, the system is capable of producing oxygen of up to 90% consistently. The latest models can be powered from mains electricity supply, 12v DC (car/boat etc. ), and battery packs making the patient free from relying on using cylinders & other current solutions that put a restriction on their activities and mobility due to time, weight, and size. Most of the current portable oxygen concentrator systems provide oxygen on a pulse (on-demand) delivery in order to maximise the purity of the oxygen. The system supplies a high concentration of oxygen and is used with a nasal cannula to channel oxygen from the concentrator to the patient. O – Options – Ask your supplier for devices or gadgets to help suit you and your home. X – eXpectations – Medical advancements and oxygen supply companies have come a long way but you should have high expectations for your health, talk to your doctor and make sure you use a reputable, caring oxygen supplier. Y – Your lifestyle – This can still be maintained with a little oxygen help, especially with portable oxygen devices – keeping active is important! G – Go on Holiday! – There’s no reason why people using oxygen cannot go on holiday, from flights to cruises to mini-breaks abroad by car, just ask your oxygen supplier to help arrange and cater for your oxygen requirements! E – Enjoy a Long Life! – With improved portable oxygen devices to help you keep mobile and improved medical treatments and drugs, life expectancy has greatly improved and patients live a long, near normal life nowadays. N – Needs Change – Your disease may improve or worsen or your general fitness may alter and so will your oxygen requirements. Always attend your check-up appointments so that your doctor can alter your oxygen prescription accordingly. Many babies and young children require oxygen treatment at home, and depending upon the condition this could be for a short period of time or long-term. Here are some tips to help make life a little easier when dealing with oxygen at home. The nasal cannula that supplies the oxygen to their nose requires fixing securely to the child’s face to ensure that the tubing does not become dislodged. Keeping the tubing fixed to a child can be difficult. You can use special cushioning plasters to have under the tubing so that it does not rub the child’s face and the fixing tape can be applied over the tubing and stick to these cushioning plasters. Also when you need to re-secure the tubing it means that you won’t have to keep pulling tape directly off of the child’s skin. However if your child requires oxygen overnight it is best to use tape directly onto the skin to ensure more secure fixing to the skin in case they move in their sleep and the tubing moves. You can wet the tape warm water or baby lotion though using tissue or cotton wool so that the tape can be removed more easily without pulling your child’s skin or causing them discomfort. Older children may not need the tubing to be taped as the tubing can be looped behind their ears abd the toggle pulled comfortably taught behind their head. If your child has sensitive skin there are alternative tapes that can be used if your child has eczema or other sensitive or allergic reactions to the normal tape. The use of petroleum-based creams such as Vaseline around the nose should be avoided as these react with oxygen and may cause soreness, however water based creams such as E45 or KY Jelly can be used instead. If your child tries to pull the nasal cannula off then ensure that the tapes are secured closer to their nose, rather than on their cheeks and close to their ears to reduce the gap. As your child gets older they become more active at night and they may wiggle around more. You could put mittens on your child’s hands at night to prevent them from being able to tug at the tubing. Also the tubing should be checked so that it doesn’t become wrapped around them. To prevent this you can thread the tubing down through their baby-gro or down through their pyjamas so that the tubing comes out by their feet and have the oxygen supply unit at the bottom of their crib or bed. Some children resist wearing nasal cannulas or face masks and it can sometimes help to let them play with a spare one, to see it on another child or to put it on a favourite stuffed animal or toy. If your child’s face becomes irritated by the cannula then try using a face mask instead or the use of a humidifier can keep the oxygen moist and prevent nose irritation from dry air. Children are very adaptable and may not always let you know when something is wrong therefore you will need to be observant for any changes that may indicate that they are not receiving enough oxygen. Such as them feeling drowsy or tired, morning headaches, shortness of breath, less active, breathing harder or has blue lips or nail beds. If these symptoms appear then you will need to call your doctor. It may just be an indicator that the oxygen rate needs to be adjusted or there may be a medical problem. 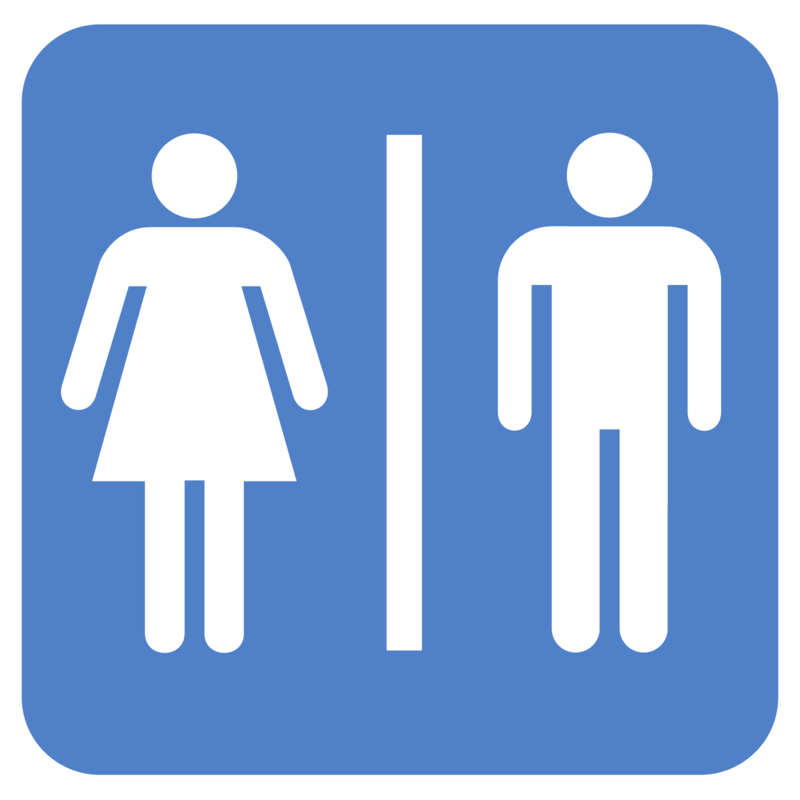 Does Your Gender Dictate Your Oxygen Consumption? A new study has found that women require more oxygen when breathing when compared to men. It was discovered that during exercise the muscles around the diaphragm and ribcage that are needed for breathing consume more oxygen in women than in men. As more oxygen is required by the respiratory muscles to breathe, women consume more energy and require a higher oxygen intake, which increases during exercise. Therefore women need to breathe more to compensate for this increased oxygen requirement. Previous research indicated that women’s airways ate narrower than men’s, even when both have the same sized lungs and therefore moving the same amount of oxygen through the airways costs more energy-wise for women than for men. The study also suggested that if women’s respiratory muscles require more oxygen then blood flow is directed here and may be reduced from other parts of the body such as the leg muscles and for cardiac output. Therefore the physical performance of other parts of the body may decrease due to the focus of the body to concentrate the oxygen to travel mainly to the respiratory muscles. The findings could prove important in the treatment of lung disorders, as a reduced lung capacity combined with harder working muscles may lead to a higher energy demand, with it being greater in women. These findings could be important in the clinical management of people with lung disorders and lead to more focus on the gender of the patient as to how best to treat them such as altering their fitness programs. Could Ozone Therapy Combat Ebola?! Ozone therapy is a form of alternative medicine treatment that believes to increase the amount of oxygen to the body through the introduction of ozone gas into the body. There is some evidence to suggest it can treat various diseases including cancer, AIDS, multiple sclerosis, rheumatoid arthritis, hepatitis B and C, diabetes, infected wounds, circulation disorders, and infectious diseases such as Ebola. Ozone therapy is also used for “slipped disks” in the spine, heart disease, cancer, an eye disease called macular degeneration, and Parkinson’s disease. It is also used for treating abscesses and other signs of infections and is sometimes used to stop dental cavities from progressing. Historically it has been around for a while, in 1856 ozone was first used in a health care setting to disinfect operating rooms and sterilize surgical instruments. By the end of the 19th century ozone was being used to disinfect drinking water of bacteria and viruses. In 1892 The Lancet published an article describing the administration of ozone for the treatment of tuberculosis and it was used during the First World War to disinfect wounds. 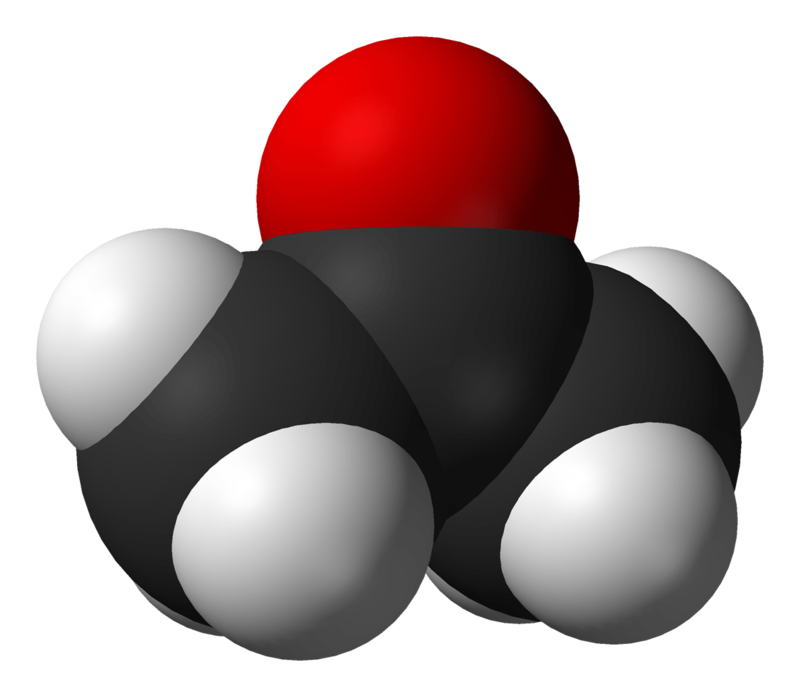 Ozone is a naturally occurring chemical that consists of three oxygen atoms. Ozone is a powerful oxidizing agent and high concentrations of ozone can be toxic to living organisms and is considered a major source of pollution. However, small ozone doses are thought to increase some naturally occurring antioxidants in the body which are thought to help to fight off cancer, viruses and bacteria and benefit the body in other ways as well. Ozone therapy involves the introduction of ozone into the body via various methods, usually involving mixing the ozone with various gases and liquids and injecting this into the body, either via a muscle, under the skin or directly into a vein. 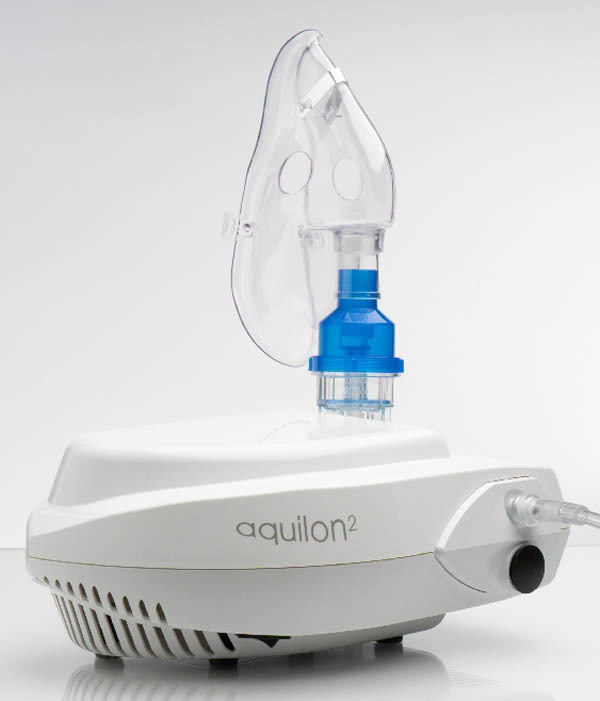 Ozone can also be introduced via autohemotherapy, in which blood is drawn from the patient, exposed to ozone and re-injected into the patient. However the safety of ozone has not been studied enough to know if it is safe or what side effects it might cause. Ozone is known to be toxic when inhaled from polluted air in large amounts and when given intravenously by injection, it can cause serious side effects including blood clots in the lung. Ozone produces free radicals, an over-abundance of which is known to cause oxidative stress and cell damage, and is thought to worsen some degenerative diseases. The development of hepatitis and death has also been reported. A group of doctors who are experts on oxidative therapy have travelled to Sierra Leone as they believe that ozone therapy is an inexpensive and very safe treatment for the devastating disease, Ebola that has recently become widespread. They travelled there at the end of 2014 to teach healthcare workers to administer the treatment, even the President of Sierra Leone publicly had the treatment. They believe that ozone is extraordinary in terms of its anti-infective and antiviral action, all that is needed is the machine and a needle, making it uncostly and it has virtually no toxic side effects, which makes it perfect for both prevention and treatment of all sorts of infections and viral afflictions, including Influenza and Ebola. With bacteria, ozone works by puncturing the membrane of the bacteria, causing it to spill its contents and die. It also inactivates viruses, and does so 10 times faster than chlorine. It is believed that ozone is perhaps the most powerful natural oxidant in the world, and that it has the advantage of stimulating the immune system, and modulating it—either up or down depending on what your system requires. Unfortunately the treatment being given over in Sierra Leone was stopped due to scepticism and a lack of concrete scientific evidence to back up the treatments even though there were many reported cases of infected individuals recovering from Ebola after having ozone treatment. Hopefully more scientific studies will be carried out so as to ascertain once and for all whether ozone therapy could be used to treat a wide variety of diseases and medical complaints and could potentially in the future be a cheap, effective, low-risk, low side-effect method to treat so many different ailments and infections and become a ground-breaking discovery. It would be extraordinary if it was found to be a treatment for common widespread infections such as the Flu and Ebola and could eradicate these diseases. Oxygen bars were first opened in the US in the late 1990’s and the trend has caught on with customers increasingly paying to sniff 40% oxygen through a plastic hose inserted into their nostrils. You can even pay a little extra to choose a flavour of oxygen including peppermint, cranberry and scented candles.The oxygen experience in a bar can last from a few minutes to about 20 minutes, depending on customers’ preferences and how much they’re willing to pay. Oxygen bar owners are careful not to make any medical claims for their products, as there have been no conclusive studies or research into any potential medical benefits from using the oxygen. They claim it is only for recreational purposes and rely on testimonies from customers who believe that there are benefits. Legally, according to the American Government, dispensed oxygen is deemed as a prescription drug and many are fighting for stricter controls and the presence of medical personnel within these oxygen bars. 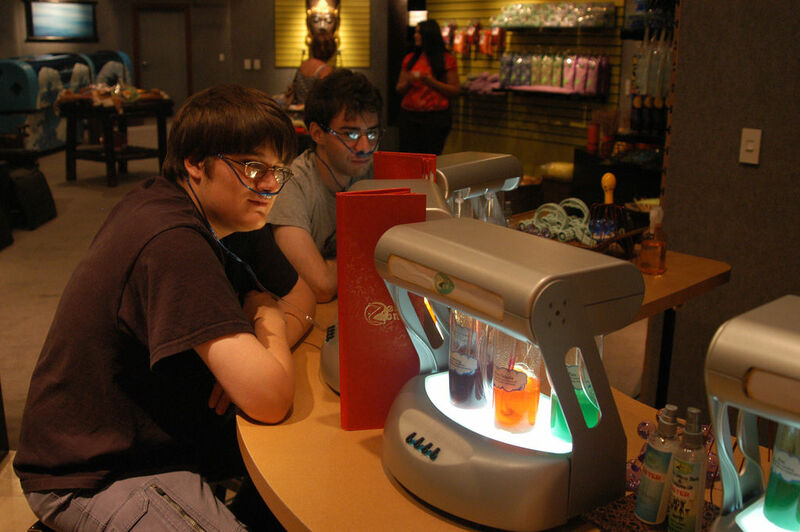 Testimonials from regular oxygen bar users claim that their visits help to reduce stress, relieve symptoms from pollution, increase energy and alertness, improve hangovers and help with headaches and sinus problems. However there are no long-term, well-controlled scientific studies that support any of these claims for oxygen in healthy people. The other argument is that people with healthy lungs don’t need additional oxygen, although how many of us have our lungs at the peak of their ability?! The American Lung Association states that there is unlikely to be any beneficial physiological effects for healthy people inhaling oxygen but also states that there is no evidence that inhaling oxygen would be harmful either. What if your lungs are unhealthy or suffering with a medical condition? Sufferers would inhale oxygen at home anyway so is this not the same thing? Medical professionals have agreed that sufferers should not attend these oxygen bars, as each individual has unique oxygen requirements that require monitoring and adapting by their doctor and this cannot be regulated at these bars and maybe unsafe or impairing upon treatment, in some cases too much oxygen is dangerous or could stop someone breathing. One of the biggest concerns about oxygen bars is the use of “flavoured” oxygen. Each flavour is made by bubbling oxygen through bottles containing aromatic solutions, and then pumping the vaporized scent through the hose. Some bars use oil-free, food-grade particles to produce the aroma, but others may use aroma oils. Inhaling oily substances can lead to a serious inflammation of the lungs, known as lipoid pneumonia. Even if an oil-free medium is used, the purity or sterility of the scent cannot be guaranteed. Susceptible customers run the risk of inhaling allergens or irritants that may cause them to wheeze. Inhalation of live contaminants such as bacteria or other pathogens may also lead to infection. Some of these bars are also located in casinos and nightclubs where smoking is common and there is a risk as oxygen fuels combustion and there are no strict policies regulating this. It seems that oxygen bars require a lot more testing, research and regulation as well as medical input before they can be deemed safe to use for healthy individuals. For sufferers of medical conditions whereby they use oxygen therapy, it is believed at the moment to be medically unsafe to mess around with your treatment regime. The testimonials may in the future be proven to be correct or perhaps they are just psychosomatic. The truth is still yet to be discovered. Oxygen facial therapy is a new anti-aging treatment that has been supported by many celebrities and is increasing in popularity. However is it just yet another beauty fad or is there any scientific basis and proof that it works? The basic idea behind the therapy is to apply oxygen to the skin along with other cosmetic ingredients to rejuvenate the skin’s appearance and to create a more radiant look. Oxygen facials can be done on men and women and promises to offer benefits such as firming up the skin, softening the appearance of fine lines and wrinkles, making expression lines less obvious, and improving blood circulation to give your face more colour and an improved complexion. Why Apply Oxygen to the Skin? Cells in your body function optimally when fully oxygenated, which we achieve by breathing oxygen in from the air, which reaches the cells via our blood circulation system. The theory is that oxygen can also be applied externally to increase this process of oxygenation and ensure our skin cells are fully oxygenated. The blood circulation worsens in our body with increasing age which means that our oxygenation potential also diminishes, therefore applying oxygen directly to the skin helps to maintain oxygen levels and keep your skin looking younger for longer. Most treatments also use some kind of anti-ageing serum which contains vitamins, antioxidants, minerals and moisturisers, as it’s believed that oxygen can be used as a delivery mechanism to enhance the absorption of these ingredients which are beneficial to the skin. Oxygen can also be used to kill bacteria, and so it can be useful for helping to give the skin a clearer looking complexion or for treating skin disorders such as acne. Microdermabrasion is carried out first which removes dead skin cells and cleanses pores which can allow the oxygen therapy to be more effective. The therapy is usually carried out with a small pen like device called an airbrush, which blasts pure oxygen at high pressure into the uppermost layer of the skin along with the anti-ageing ingredients. As it is at high pressure it can be blasted deeper into the skin where it can be absorbed more effectively and produce greater effects. One of the biggest advantages of oxygen facials over topical administration is that many of the skin care ingredients are made up of molecules i.e Hyaluronic acid, that are too large to pass into the deeper layers of skin. The ingredients themselves work but by applying them as a cream onto the skin, they don’t penetrate very far into the skin and therefore the results are limited. However if applied via high pressure and at a lower molecular weight they can pass deeper and stands a better chance of producing results. An oxygen facial also involves no pain and no downtime. A facial can take 30-60 mins and your skin should feel smoother, hydrated and plumper as well as seeing a reduction in fine lines and wrinkles. You should also notice an improved colour and glowing radiance to your skin, with a clearer complexion due to increased blood circulation and higher tissue oxygenation levels. 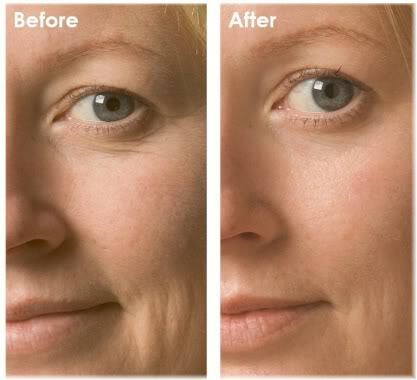 The initial results usually only last about seven days however with multiple treatments the effects are cumulative and after 6 treatments of one a week the results will last 1-3 months. However most of this is all theory and based on personal stories and recommendations and there isn’t actually any scientific evidence as yet to prove that oxygen facials work. Critics of the therapy have suggested that the plumping effect of the skin is actually caused by localised inflammation caused by the high pressure liquid oxygen spray being blasted at the skin’s surface. If it is due to inflammation, then this could actually be harmful to the skin in the long run, as prolonged inflammation is known to be one of the major causes of ageing and disease. However many other anti-ageing treatments work by causing localised inflammation as this inflammation stimulates collagen production which is good for our skin. Furthermore, pumping oxygen into the skin may result in the production of free radicals which could further contribute towards premature aging. However if your anti-ageing serum contains vitamins E, C and green tea extract then these are known to protect against free-radical damage. 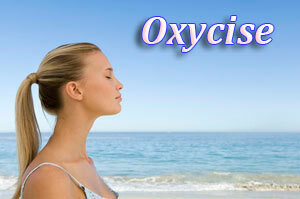 Finally, it is possible to increase the oxygen levels of your skin naturally and for free by doing aerobic exercises. This increases blood circulation throughout the whole of the body, which is why your skin tends to look better after a good workout.